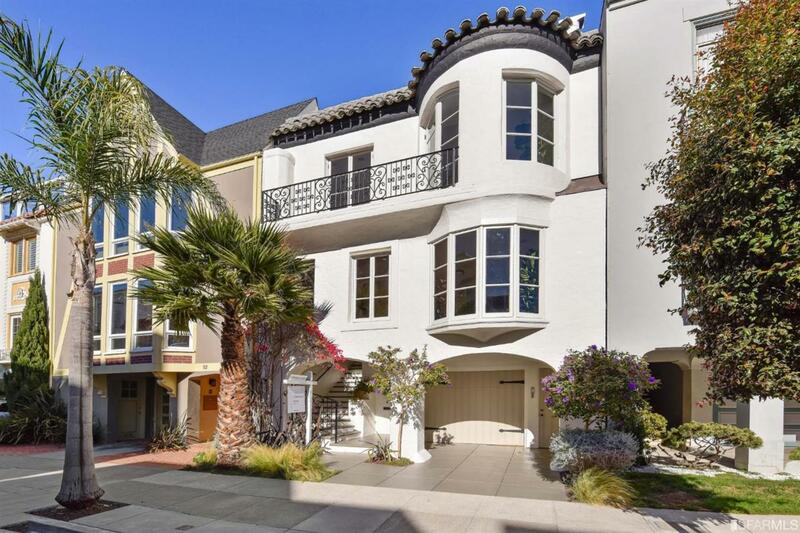 Charming, bougainvillea draped Spanish-style flat on one of the Marina's most coveted blocks, this condo boasts architectural details from the 1920's blended with today's modern conveniences. 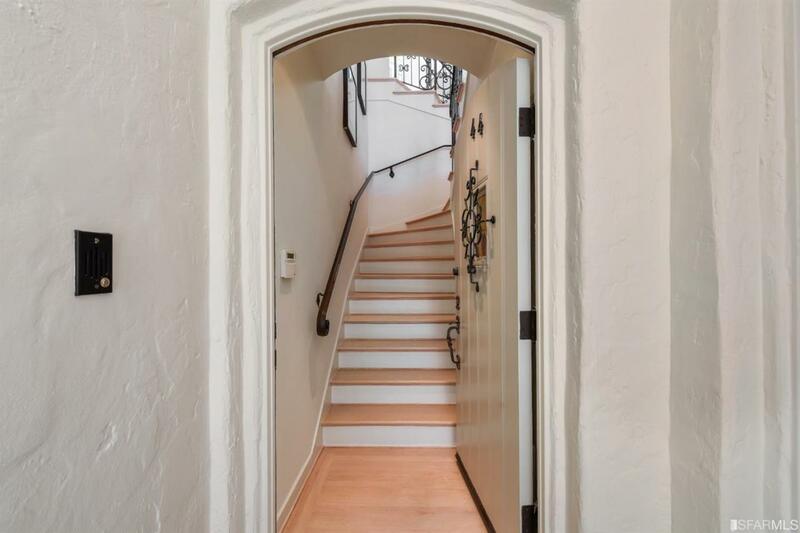 Spanning two levels, it features arched windows and doors, beautiful hardwood floors, upgraded marble kitchen, recessed lighting and a wood burning fireplace. The upper unit of a 2 unit building, this home includes 3 beds and 2 baths on the main level with a sun-drenched pent room on the 2nd level. 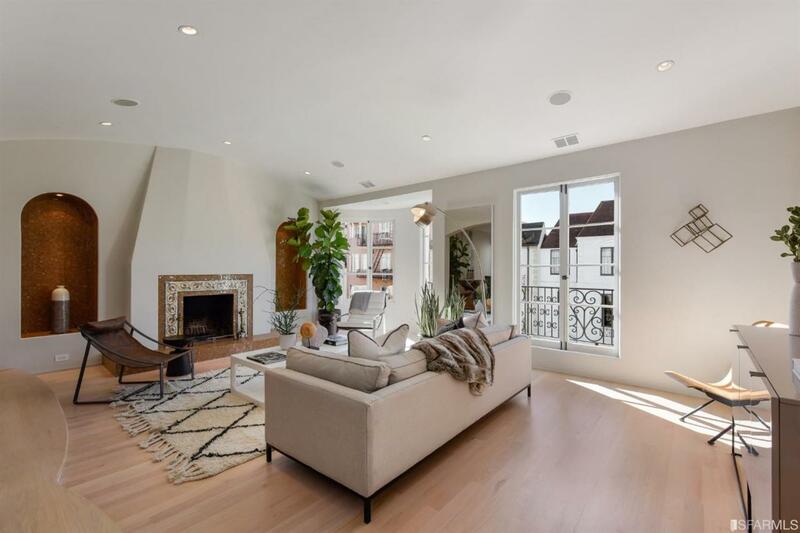 Breathtaking roof deck with sweeping Bay, Alcatraz and Golden GateBridge views is just off the pent room. 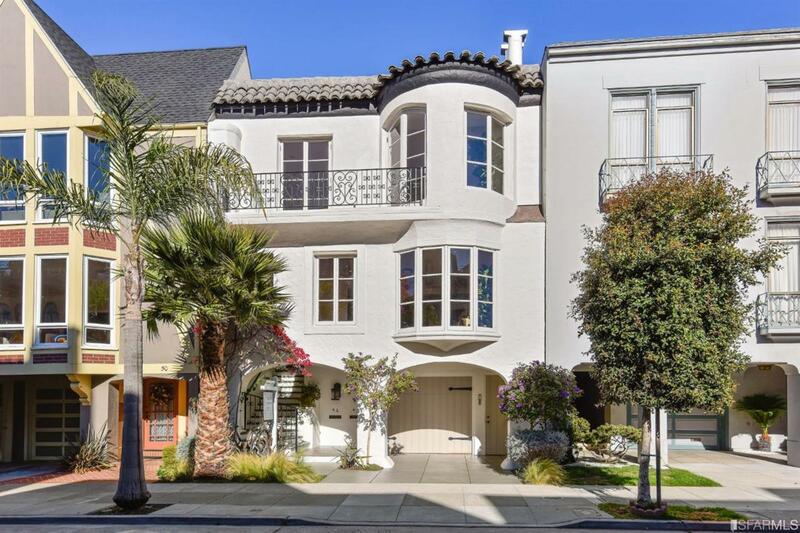 Just a few doors down from Marina Green and a short stroll to everything Chestnut Street has to offer. Listing provided courtesy of Richard Teed of Compass.